* THE place for Dinosaur and Prehistoric art. Hi-fi and humane digital dissections of the huge and extinct. Elegant and high culture Paleo-portraits. * DON'T use the King's artwork without asking his majesty first. As for images that are not my work, I don't own them, so use them at your own risk! Well, paleo fans....... happy new year, and time to round out what's been hot (and not so much) for the past year! 2009 has been a very tumultuous year in world events (not least because of this, this, and THIS). BUT, this isn't a politics or pop culture blog and there's plenty of those out there who could chronicle such events in far more detail than myself, so I am (obviously) only going to focus on the Paleo side of things for the year's BEST and WORST - uncut and uncensored. 1. It's the first truly definitive brachiosaur found in Asia (yeah there have been rumors of older fragments and random teeth... but nothing like decent articulated, identifiable remains, and Qiaowanlong certainly has that). 2. It's the first and ONLY brachiosaur with bifid (split) neural spines known to science! Diplodocids, camarasaurids, euhelopodids, basal eusauropods, and perhaps even a few basal titanosauriforms had them. But this is the first evidence that a brachiosaur evolved this feature. Yeah, it's not a missing link. So what? It's still VERY unexpected and unusual given what we thought we knew about sauropods. 3. The bones are INSANELY well-preserved, and there's almost no crushing in most of them. Even in their unrestored state, the remains would make Marsh and Cope's jaws drop if they were alive today. 4. It's a brachiosaur. From the Cretaceous. And it seems to be a dwarf species from an island habitat. That, in and of itself, makes it 1000% cooler than just about anything else that was dug up in 2009! Of course, I admit I do have a huge brachiosaur bias, but chalk it up to the fact that brachiosaurs are just plain badass. BTW, for all of you who THINK you know, Ida is not a missing link, nor should she be used as some kind of holy grail to "prove" human evolution to Creationists. Just don't do it, you'll become a laughingstock. Ida is not a hominid, she's not an ape, heck she's not even a monkey, but something far more primitive. Basically she's far closer to lemurs than humans, and the press has shown far less intelligence than a lemur in over-sensationalizing this discovery as a "direct human ancestor" to boost TV ratings, when in fact we don't even know for sure if Ida had any evolutionary descendants, let alone if any of them led to humans! In fact, there's ample possibility that Ida is nothing more than a dead-end side branch of primate evolution, not a human ancestor. Sorry to bust your bubble CNN, but you're not a "most trusted name in news". At least not as far as primateology and the scientific community are concerned. BTW, I'm also not a huge fan of dinosaurs that were simply named after a country or state (in their genus anyway) - it just sound like the authors of the description got lazy, but still I can't avoid the fact that names like Albertosaurus and Argentinosaurus just sound irresistible. Same with Lusotitan, which is interestingly also the pun of an oxymoronic portmanteau... It's either loose or tight, not both! Of course my patience for regional name sources does not extend to what's being done with sauropod studies in Pakistan, where nationalist fervor has lead government-sponsored scientists to rename entire worldwide clades like Titanosauria to "Pakisauridae" and Saltasauridae to "Baluchisauridae" (after Baluchestan province) and to inanely redefine them (wrongly) as mutually exclusive groups with the representative taxa changed to those found in Pakistan (which are not surprisingly called Pakisaurus and Baluchisaurus, go figure...). This odd renaming scheme (see more details HERE, under Khetranisaurus) has never been recognized outside of Pakistan, and indeed most titanosaurs are not from Pakistan. Without a doubt, it's Tatankacephalus. I'm sure its describers (the husband and wife team of Bill and Kris Parsons) are being truthful when they say it's taken from some Native American term for "buffalo", combined with the Greek word for "head", but regardless, the punnery in the name itself is lame as hell. We all know it's built like a tank. Every ankylosaur is built like a tank. Ta-tank-a-cephalus is just ramming it down a bit too hard. There are thousands of words in indigenous languages the world over to choose from when naming a dinosaur, many of which are perfectly fine and original... just look at the Mongolian discoveries, you just don't get a cooler ankylosaur name than Saichania or Tarchia! Which respectively mean "beautiful" and "brainy", so you know that whoever had the stones to give Ankylosaurs (of all creatures) such names, really has an admirable passion for their work! Kudos to their originality. Makes you wonder why Bill and Kris Parsons chose the one obvious boring, lame name that sounded strangely like 'tank' or 'tank-head'. I'm not claiming to know their motives for choosing this incidentally pun-loaded name, but one does wonder... especially when the horn-less head of Tatankacephalus doesn't resemble a buffalo head at all. *I considered putting Aardonyx here first, but then I realized that nobody had ever really compared a dinosaur to an Aardvark before, so at least that's somewhat original even if it's horribly inaccurate. But as for "tankylosaurs" (lolz).... we've all heard that worn-out analogy gazillions of times. And if you're a paleontologist working on armored dinosaurs, don't you even THINK of naming your next discovery "tankylosaurus". This year there's no contest - the worst of the worst is... Clash of the Dinosaurs. Aside from the beautiful CG animation (which has a few odd problems of its own) the show makes a plethora of false claims about dinosaurs (like the discredited "second brain" hypothesis) and also portrays events and behaviors which are flat-out IMPOSSIBLE (like a Sauroposeidon teenager the size of a house being killed by a few scratches from a couple of dog-sized Deinonychus. Sure, two Deinonychus could easily kill something the size of a human, but not something in the range of thirty tons.) And let's not forget the whole uncovered nest fiasco, the urine-seeking infrared Quetzalcoatlus, and the paradoxical portrayal of T. rex as both a sluggish scavenger and a very dumb impulsive predator that inexplicably attacked Triceratops head-on instead of going for its weak spots. The nearly full list of errors and fallacies is detailed HERE. And here is the official Wall-of-Shame for the show's production company. Oh, and did we mention their unethical, dishonest quote mining and manipulation of Dr. Matt Wedel's words? Taylor, Wedel, and Naish (2009) on sauropod neck posture. This paper shows conclusively (with some very nicely illustrated diagrams) that sauropod necks were designed for vertical feeding, and the notion that sauropods couldn't raise their necks past horizontal is BUNK. There's been a lot of bad science out in the past few years that seems to favor "vertical neck denialism" or as I like to call it, the cult of SNAFU (Sauropod Necks Are Flaccid Universally) which is a bit like Alan Feduccia's BAND movement that denies the dinosaur-bird link. This paper has also gotten much-deserved MASSIVE press coverage both in print and online. Horner and Goodwin's (2009) paper on the cranial ontogeny (or rather, rampant taxonomic lumping!) of pachycephalosaurs. Horner and his "school" of paleontology have gradually earned a "fringe" reputation because they take a very extreme "lumper" view on species taxonomy (not to mention their stubborn persistence in considering T. rex a sluggish scavenger rather than an active predator). They will lump several different species into one, or claim that they are simply males/females/juveniles/regional forms or "races" of some other species. I believe he's made exactly the same mistake with duckbills and ceratopsians. Now while it IS true that many dinosaurs do go through morphological changes in horn structure as they grow up, this does not mean that every three-horned ceratopsian is a growth stage of Triceratops, nor does it mean that all "bonehead" dinosaurs are actually the same genus. It's not the sort of reputation I would wish on Horner or anyone for that matter - he's done (and continues to do) decades of valuable research on many Late Cretaceous dinosaurs, far beyond what many others have accomplished - but a number of his recent papers (as well as his escalation of commitment to the T. rex scavenger hypothesis in the face of mounting evidence against it) have sadly made a substantial dent in his credibility. The winner here would without doubt have to be Dr. Mike Taylor's (2009) re-evaluation of Brachiosaurus brancai as a separate genus, Giraffatitan. While I knew it had some important differences from Brachiosaurus altithorax, and I've been aware of the usage of Giraffatitan for a long time now, I didn't expect such a sudden revision and official adoption of the name over twenty years after it was first proposed (somewhat more tentatively) by Gregory Paul. I grew up with "Brachiosaurus" brancai - it was my favorite of all dinosaurs. It was really all I cared about the first time I watched Jurassic Park (but I admit seeing Wayne Knight get plastered with sticky black toxic Dilophosaurus goo was pretty cool too, despite being totally bogus). It was my childhood ream to go to Berlin and see HMN SII, the famous skeleton of B. brancai. For most people in the world, that skeleton is Brachiosaurus. The many scientists who perished of various horrible tropical diseases in the original expedition to Tanzania to uncover the fossils, referred to it as such. So while Taylor does indeed write a top-notch paper and give ample convincing proof that it was a different genus, it is truly very bittersweet to say goodbye to B. brancai and a permanent hello to "G. brancai". Farewell old friend. I for one shall not stamp out your legacy, for you are no Brontosaurus. The year's ODDEST dinosaur blooper! "Dinosaur" George Blasing seems to have differing opinions on whether T. rex or Spinosaurus would win in a fight. Now, as he acknowledges, they lived in totally different times and places, but since a lot of people saw Jurassic Park III, it's obviously a very popular question. Now listen closely to the part where he says: "...there is no comparison in my opinion. Tyrannosaurus rex was like a grizzly bear, Spinosaurus was like a panda bear. And if you meet the two together the grizzly bear would win, so Spinosaurus would just obliterate the other guy." Wait a minute! Shouldn't he have said "T. rex would obliterate the other guy"? I thought he said the "grizzly bear" (i.e. the T. rex) would win! It's clear that T. rex was by far the more dangerous dinosaur, Spinosaurus had narrow fragile teeth and jaws more suited to catching fish than crunching through bones. And it had far weaker jaw bones and muscles than T. rex, and a much more delicate skull structure. This delicate build is true even for the record-sized new Spinosaurus specimen, which *may* have been longer then T. rex (we can't really tell, since the specimen is so fragmentary). So that epic scene in Jurassic Park III where a huge Spinosaurus kills T. rex by breaking its neck with one bite, is totally FALSE and nothing more than some deceptive computer-animated movie magic. And I'm sure Dinosaur George is perfectly aware of this -which is why this clip gets the award for the oddest dinosaur blooper of the year! I agree with everything you said. Well, goodbye B. brancai, goodnight sweet prince. Clash of the Dinosaurs was just horrible. It deserves the title all the way. I'll go by far to say it was the worst documentary about any extinct animal EVER created. I'm having serious doubts we'll be seeing good quality dinosaur documentary this year. People just don't seem to care about facts, or even educated fiction but more about the whole sensation of "whoa! wow!" effect. 1. Since when is Qiaowanlong known from a nearly complete skeleton? The only specimen of it I'm aware of is a neck and a pelvis. I'm going with Limusaurus as the best crazy new dinosaur of 2009. 5. I like the name Tatankacephalus. Sure, it's probably an intentional pun, but I think it's funny and it's not like there are other ankylosaurs with "tank" in their names. My least favourite dinosaur name of 2009 is Kol, which simply means "foot" in Mongolian, and was named by Americans using an online translator. If a team of Mongolians named an American dinosaur "Foot," that would be silly, right? 9. What is known about the "adult bone growth patterns and tooth wear in the type specimens of Dracorex and Stygimoloch"? I think I missed a paper there. The type specimen of Stygimoloch doesn't include any teeth- and since when do adult dinosaurs have distinctive tooth wear? Corrections duly noted, Brad. But Qiaowanlong still tops Limusaurus in my book. Since small theropods are so birdlike and the story of bird evolution is so fascinating (largely because birds are still around today), small theropods tend to get a lot of attention in the paleontological community. Sauropods don't, unless they are extremely huge, and even then the number of researchers working on them is far too small. Little 'birdosaurs' just don't have the same kind of novelty for me. Plus sauropods are just WAY cooler and more mysterious. So Qiaowanlong it is. Tatankacephalus is a lame name. Face it! Sounds catchy to some folks but it's just laughable in my book. And the alleged "meaning" of the name is moot and LAME because it doesn't even look like a buffalo. 'Nuff said. As for Stygimoloch not having teeth - have you ever seen this? There you go. TEETH. Now I don't know if it's the type specimen, but it certainly includes the teeth, and they are already differentiated into a distinct pattern. See the big incisors and the worn out back teeth? Confirmed juvenile specimens have not been found with this pattern, it's very similar to adult tooth wear patterns in mammals (although the teeth were probably replaced) and it's logical that babies would have been eating softer, lower plants (i.e. ferns) and so not have as much tooth wear. Furthermore sutures in the skull are practically invisible, which is certainly NOT a typical feature of young animals. It's also odd that Horner claims that juveniles were MORE ornamented with horns/spikes than the adults, and lost these horns later on, when in all living animals with specialized headgear, juveniles have LESS developed horns or skull roofs than adults, not more. And the "keratin excuse" doesn't hold up - the same pattern was also present in Uintatheres and Brontotheres, which had "horns" made out of bone. I never doubted that Stygimoloch had teeth. I just know the holotype doesn't preserve any, being merely a squamosal. Where was the tooth wear study published? There isn't one. But tooth wear in pachycephalosaurs is extensively discussed in this massive paper. The tooth wear isn't even the main point here. It's that there's not sufficient evidence to prove Horner's conclusion and I think he's way off about both Stygimoloch and dinosaur biodiversity in general. Stygimoloch and Dracorex in any case can be identified as adults by other means. Namely the lack of skull sutures and unfused sutures in Dracorex's cervicals. Also there is Stegoceras, which is known from several adult and juvenile specimens. It's a dome-head, not a flat-head like Homalocephale or Dracorex. However, the juveniles ARE more flat-headed than the adults. And the skull studs get BIGGER with age, not smaller. This is also true of animals today, horned mammals do NOT reabsorb their horns as adults. The same is true of fossil Uintatheres and Brontotheres, where the "horns" are solid bone rather than gristle or keratin. Horner's pattern of juveniles growing horns/spikes and then just losing them as adults, DOES NOT EXIST anywhere in the world today or in the fossil record. It's almost as if his dinosaurs go through a short-lived, insanely spiky "larval stage" followed by a reversal - like an ocean sunfish, rather than a land tetrapod. Also the temporal fenestrae of Dracorex are only matched in size by those of Wannanosaurus, which is a confirmed flat-head pachycephalosaur from Asia, totally independent of Pachycephalosaurus. Dracorex just has a plethora of features that indicate it was it's own genus and probably descended from a flat-headed pachycephalosaur that migrated to North America from Asia. My best guess with true Pachycephalosaurus is that the babies had flatter heads than the adults, but lacked any sort of huge spikes. Horner's pattern of juveniles growing horns/spikes and then just losing them as adults, DOES NOT EXIST anywhere in the world today or in the fossil record. Horner sites the absorbsion of the epoccipitals during growth in Triceratops horridus as an example - but he's wrong, as these two situations are not homologous. Pachycephalosaurs are not related to ceratopsians in the slightest, EXCEPT that they are both theyreophors. (Bob Bakker and Robert Sullivan have both, independently AND together, conclusively shown that "Marginocephalia" is an artificial grouping. Cladistics/phylogenetic analysis FAIL.) Besides, epoccipitals are noval bones, unique to Ceratopsia. We wouldn't know what expect them to do during the growth of an animal. Horns (of the typical bone core/keratin sheath type) are another matter altogether - we know from numerous extinct and extant animals that horns simply do NOT appear and then re-absorb during onteogeny in any earthly animal. Also, let's please not forget that Bakker and his crew have a baby Pachycephalosaurus skull from Wyoming - a REAL one. It's the same size of the Dracorex skull, but it is IDENTICAL to an adult pachycephalosaurus in every important detail (i. e. it has a fullly developed dome, knobs on the head rather than spikes, fully closed upper temporal fenestrae, etc.). So Horner's "theory" (though it's really more like some sort of fantasy dream, no offense to the man himself) is dead from the start. "Dracorex actually appears to lack the big premaxillary teeth of more basal pachycephalosaurs"
Dracorex is NOT a juvenile Pachycephalosaurus. End of story. Scrap that last part of my comment. I just located the part of the Dracorex descrptive paper where Bakker et al. show that it is not possible for Draco to be a juvenile Stygi. My Kingly opinion (however belated): It strikes me as a totally different animal too. Stygimoloch is more of a classic bonehead in the sense of its sloping dome, which has some resemblance to things like Stegoceras and Tylocephale. The only immediately unique thing about it is the big spikes. Dracorex is more flat-headed and squat, with proportions more like Homalocephale and especially Wannanosaurus. They probably evolved their spiky condition separately, being from different branches of the family. It may be that spiky boneheads like Dracorex and Stygimoloch were actually MORE common than non-spiky ones and we have yet to find most of them. The same is true in other dinosaur groups, where the "strange" features are more common than "plainer" forms that we only THINK are the standard body plan (i.e. in the stegosauridae for example). It's not a given, but certainly within the realm of possibility. Yeah. I retracted my speculation that Dracorex was a juvenile Stygimoloch as soon as I noticed the discussion and rejection of that notion in the Bakker et al. description. I agree with you guys that the horn-reversal hypothesis feels totally freakish and wrong- I'm just not going to push my personal skepticism as evidence against it. Remember, even Bob Bakker once wrote (Dinosaurs Past and Present 1: 47), "The key to accurate interpretations of a fossil species is to be prepared to be surprised; do not assume that all the ancient creatures and ecosystems fit neatly into the ecological typecasting of modern species." Anyway, I look forward to seeing Bakker's next paper on pachycephalosaurs, and any other surprises that might pop up in the mean time. Michael: Thanks for the correction on Dracorex's "nippers," I was unaware of this discovery. Where have Bakker and Sullivan "conclusively" shown that Ceratopsia and Pachycephalosauria are unrelated groups in Thyreophora? I know they've mentioned that hypothesis before, but I've barely seen any evidence presented for it. Bakker, R. T., Sullivan, R. M., Porter, V., Larson, P. and Saulsbury, S.J. (2006). "Dracorex hogwartsia, n. gen., n. sp., a spiked, flat-headed pachycephalosaurid dinosaur from the Upper Cretaceous Hell Creek Formation of South Dakota." in Lucas, S. G. and Sullivan, R. M., eds., Late Cretaceous vertebrates from the Western Interior. New Mexico Museum of Natural History and Science Bulletin 35, pp. 331–345. My comment disappeared. That's strange. Here's an approximation of my original comment. Also, on the subject of 2009 discoveries, I'm surprised Tianyulong hasn't cropped up here. Finally, I may not know as much as the rest of you, but I don't think the position in geologic time of taxa necessarily denotes phylogenic position. Wouldn't that be like the temporal paradox thing that the BAND kept using prior to the discovery of Anchiornis? Michael, could you give a list of characters shared by thyreophorans and marginocephalians not shared with ornithopods? Sullivan and Bakker don't give any objective explanation in their paper why Marginocephalia is not monophyletic, nor Bakker in 1986 give any clue on his 'Orbitoscuta'. Where you put Yinlong? Just because the parietosquamosal frill is not homologous in Ceratopsians and Pachycephalosaurs this don't mean that they're not sistergroups. Nima: Stygimoloch holotype (and referred skull fragments) don't preserve any teeth or premaxillae; the Berlin skull cast is largely restored. There are 2 undescribed and privately owned skulls of Stygimoloch with preserved maxillary teeth, but these are unavailable for study. The loss of the obturator prong, the short flange of bone connecting pubis with ischium, retained in most predentate (= ornithischian) dinosaur clades, is one important synapomorphy that unites the Ceratopsia and Pachycephalosauridae with the Thyreophora. Orbitoscuta is the clade within Thyreophora, defined by a thick ridge of bony armor over the eye, that unites pachycephalosaurids, stegosaurs, and ankylosaurs to the exclusion of the Ceratopsia (the other main branch of Thyreophore family tree). "Sullivan and Bakker don't give any objective explanation in their paper why Marginocephalia is not monophyletic"
Sullivan, R.M. (2006). A taxonomic review of the Pachycephalosauridae (Dinosauria: Ornithischia). New Mexico Museum of Natural History and Science Bulletin, 35: 347-365. It's a ceratopsian. It's got a rostral bone. "Just because the parietosquamosal frill is not homologous in Ceratopsians and Pachycephalosaurs this don't mean that they're not sistergroups." the acetabulum that is strongly suggestive their placement with the ankylosaurs - not ceratopsians. The Sullivan paper Michael refers to does not indicate the relationships of the pachycephalosaurids at all, it just suggests that the parietosquamosal is not homologous to that in ceratopsians and that it may be secondarliy derived independently of the ceratopsia. Neither does the Sullivan paper support a "Orbitoscuta" clade, nor does the paper support allying pachycephalosaurs with the Thyreophora. The only real reason why Sullivan suggests that the Marginocephalia might not be valid is that Colepiocephale appears to have lack a developed parietosquamosal shelf, and Sullivan suggests that because Colepiocephale is the oldest known "firm" pachycephalosaur that is must also be the most basal because of both the temporal range and the lack of a developed parietosquamosal shelf. The truth is though, that Sullivan also found that all the valid pachycephalosaurs under his diagnosis were closely related. What this means is that the relationships of pachycephalosaurs are uncertain, NOT necessarily indicating that Marginocephalia is not valid. As for the Thyreophora, it never has included the Ceratopsia. Simply put, we need more fossils of basal pachycephalosaurs to know where they go classification-wise for sure, but until then the vast majority of scientists ally them with the Ceratopsia in the Marginocephalia. What's interesting is that Bakker placed Pachycephalosaurs in Thyreophora as early as 1986, but back then it seems the idea was rather tentative. They just don't resemble conventional thyreophorans at all. I used to think of them as marginocephalians (mainly because that's what nearly all the books said) and because they were bipeds like Psittacosaurs... but these differences in skeletal structure really throw a monkey wrench in things. You think they're this, then you think they're that, then they look to be this again! UGH, Pachycephalosaurs.... a group of dinosaurs I wish I'd never had the displeasure of knowing about. I suspect the situation in the case of pachycephalosaurs and ceratopsians will turn out to be like the maniraptoran-bird link discovery scenario. For a while, the appearance of more birdlike but flightless dromaeosaurs after the urvogel (Archaeopteryx) was thought by some to indicate that the dinosaur-bird link was bunk. We now know this isn't the case, as many proto-birds and flighted maniraptorans are being found in sediments concurrent with, or that predate, Archaeopteryx. This suggests that theropods and aves are indeed closley related. Similarly, because some apparently "basal" pachycephalosaurs appear concurrent with and after more 'derived' pachycephalosaurs does not mean they are not Marginocephalians. It may be that Marginocephalia is inappropriately named, but I suspect future fossils will show that pachycephalosaurs and ceratopsians are indeed sister groups. Furthermore, the lack of any truly basal pachycephalosaurs in the fossil record makes any conclusions uncertain. For the time being, however, there is not sufficient evidence to warrant rejection of a monophyletic Marginocephalia. (Indeed, pachycephalosaurs cannot be Thyreophorans as they lack the name-sake osteoderms. It should also be noted that the armored heads of ankylosaurs come from osteoderms fusing to the skull, whereas in pachycephalosaurs various stages of ontogeny show that the reinforced heads come from additional bone growths from the skull, not osteoderms fusing into the skull. Thus a trait that allies pachycephalosaurs and ceratopsians could be that both groups have head weaponry that grows from the main skeleton, versus osteroderms being fused into the skeleton as in ankylosaurs.). Similarities in the skull of Yinlong and pachycephalosaurs are readily apparent (as were the similarities od theropod and bird skeletons), so I think it is reasonable to support Marginocephalia for the time being. Certainly the Bakker classification ('Orbitoscuta') is far more ill-supported than the Marginocephalia. "As for the Bakker 'Orbitoscuta' hypothesis, he never discusses any evidence for that,"
Huh? Not to be rude, but I have to ask, have you even read Bakker's book? He does provide detail in one of the chapters. It's not a whole huge bunch of detail, but it's enough to invalidate your claim that he never discusses ANY evidence for his classification. "and my question is why couldn't the "shielded eyes" also be secondarily, independently derived traits in pachycephalosaurs and thyreophorans? One wonders this especially since neither Scelidosaurus or Scutellosaurus have 'shielded eyes'." That's because those taxa (Scelidosaurus, Scutellosaurus) are more basal than Orbitoscuta and lie outside of that clade. "Besides that one 'characteristic', which may not even be homologous, those to groups have nothing in common"
(as for the 'exclusion of the pubis from the acetabulum', I cannot find this as characteristic of ankylosaurs anywhere--or stegosaurs, so where are you getting this?)" (Reptilia, Ornithischia): Journal of Paleontology, v. 53, p. 666-684. "As for the Thyreophora, it never has included the Ceratopsia." Yes it has, in two classifications I know of - Bakker's and mine. "but until then the vast majority of scientists ally them with the Ceratopsia in the Marginocephalia." This means what, exactly? You can wrong in big numbers, too. Until relatively recently, the "vast majority" of scientists considered dinosaurs to be sluggish, cold-blooded, pea-brained evolutionary losers unrelated to birds, that went extinct because they couldn't compete with tiny mammals. They were wrong. "It should also be noted that the armored heads of ankylosaurs come from osteoderms fusing to the skull, whereas in pachycephalosaurs various stages of ontogeny show that the reinforced heads come from additional bone growths from the skull, not osteoderms fusing into the skull. Thus a trait that allies pachycephalosaurs and ceratopsians could be that both groups have head weaponry that grows from the main skeleton, versus osteroderms being fused into the skeleton as in ankylosaurs." I hate to point this out, but you're seriously, hopelessly behind the times. And I say that not to be snarky or mean, but to be honest. Recent work shows that ankylosaurs' armored heads are NOT formed by osteoderms fusing onto the skull. Rather, the armor is produced from the skull itself, JUST as in pachycephalosaurs. Vickaryous, M.K., A.P. Russell and P.J Currie. 2001, Cranial Ornamentation of Ankylosaurs (Ornithischia: Thyreophora): Re-appraisal of Developmental Hypotheses. Pp. 318-340 in K. Carpenter (ed.). The Armored Dinosaurs. Indiana University Press, Bloomington. "Similarities in the skull of Yinlong and pachycephalosaurs are readily apparent"
No more apparent than the curiosties in the pelvis, orbit, and ribcage that unite pachycephalpsaurids with the ankylosaurs!!!!!!!!!! "Certainly the Bakker classification ('Orbitoscuta') is far more ill-supported than the Marginocephalia." That's just your opinion, and one that holds no weight. I beg to differ. "Huh? Not to be rude, but I have to ask, have you even read Bakker's book? He does provide detail in one of the chapters. It's not a whole huge bunch of detail, but it's enough to invalidate your claim that he never discusses ANY evidence for his classification." Again, tell me where Orbitoscuta (or your mega-Thyreophora) is discussed, and please, give a reference of a peer-reviewed paper, not a Bakker's personal opinion on Nopsca's work. I've already read Sullivan many times, and there is no mention of any characters shared by both Pachycephalosaurs and ankylosaurs, with the exclusion of ceratopsians and ornithopods. 1) The absence of the obturator process is plesiomorphic for Ornithischia, being absent also in Lesothosaurus, Heterodontosauridae, Eocursor, Silesauridae, Saurischia, Marasuchus, Pterosauria, Euparkeria... btw, an obturator process is absent also in Leaellynasaura and rhabdodontids ;-). 2) The exclusion of the pubis from the acetabulum is very different in the 2 groups you mention: in ankylosaurs the pubis is so reduced to fail any contact with the acetabulum...in pachyes, there is a super-long pubic process of the ischium, which embrace the ventral and anterior portion of the acetabulum....this is very hardly an homologous structure...And 3)a fused supraorbital is found also in derived ceratopsians and iguanodonts; pachyes and ankylos share only the relative thickening of the skullroof. So you're proposing an ankylosauria/pachycephalosauria sistergroup? If so, pachyes should show at least some derived thyreophorans feature (a short postpubic process of the ilium, the lateral wing of the quadrate absent, postcranial osteoderms, a very wide anterior ramus of jugal, three supraorbitals, a very deep median palatal keel, dentary tooth row anteriorly downturned, etc,)....but they don't...which is surprising, as every member of the clade share these characters! with many ceratopsian and ornithopods, a premaxilla ventrally offset, paroccipital processes crescentic and downturned, a mandibular condyle very low, the ischial process of ilium expanded and laterally directed, a long postacetabular portion of the ilium, an anterior intercondylar groove on femur and so on. These are features definitely absent in any thyreophorans, or non-neornithischian, but present only in pachycephalosaurs, ceratopsians, ornithopods, and some heterodontosaurs. There is a reason why Orbitoscuta is not adopted today: it's VERY poorly supported by the data; it's not impossible, but clearly you need much more evidence than a pair of questionable ( being possibly non-homologous or even be homoplatic within ornithischia)characters. Okay, this is getting way too long and dragged-out. Morgan, I'm not even going to attempt to rebutt your comment; not because I can't, but because it would take way too long to get my data together and prepare my counter-argument, plus I'm growing weary of this multi-person debate and it has to stop somewhere. I don't want this to become a rehash of that one theropod lips incident... So I'm done. Goodnight, ladies and gents. Peace out. As regards to Michael's comments, some defense in my part is in order: yes, indeed I have read Bakker's book through-and-through and holds a place in my personal library. Nowhere in the actual text does he refer to 'Orbitoscuta' (at least according to my admittedly cursory check, and the fact that the term 'Orbitoscuta' is not found in the index'), only in one figure at the end of the book does this term appear. Bakker does refer to the 'Thyreophoroidea'--as proposed by Baron von Nopsca--however, and interestingly it also *includes* the Ceratopsia and it is not the same as the Thyreophora (p. 254). So, even if one were to accept the 'Threophoroidea', this does not mean the Marginocephalia is invalid. As for the Walter Coombs paper you refer to, it is interesting that in it he says, and I quote, "These cranial and pelvic features suggest that ankylosaurs and pachycephalosaurs are sister groups within the Ornithischia. On the other hand, ankylosaur pelvic structure is readily derived evolutionarily from pseudosuchians a from any known ornithischian (similar opinion expressed by Maryanska, 1977). This is not to suggest that the Ornithischia is not a natural group; the universal presence of a predentary bone mitigates against such a view. Rather, it may be that ankylosaurs separated very early from other ornithischians, and the imperforate acetabulum, short prepubic process, lack of an obturator process, and quadrapedal stance are all retained primitive features" (p. 679).--Italics, mine. Thus while Coomb suggested a relationship between pachycephalosaurs and ankylosaurs, he also realized that this may just be retention of primitive traits or possible convergence. I will admit, Michael, that I was wrong about the head armor on ankylosaur and its development (it does indeed appear to be remodeling of the bone surface, rather than osteodermic fusion to the skull). However, it should be noted that ceratopsians also share this characteristic, too, as well as other features (listed by Morgan above). It still appears to me (and the majority of the scientific community, at that) that pachycephalosaurs and ceratopsians are sister groups (and are likely more closely related to the Ornithopoda as a group than to the Thyreophora). It should also be noted that the fanglike pre-maxillary teeth that are shared in heterodontosaurs, basal marginocephalians (i.e., both basal protoceratopsids and pachycephalosaurs) and the lack of them in Scutellosaurus would appear to suggest against a close relationship between pachycephalosaurs and ankylosaurs. Also, while I may not be omniscient and be able to keep up with all the relevent literature all the time, Michael, it is not I who appear to be behind the times: your apparent rejection of cladistics makes *you* behind the times. Furthermore, I find it bothersome that all the literature you cite does not at all strongly support an 'Orbitoscuta' as you suggest--none of the peer-reviewed papers you cite even mention the term (or even 'Thyreophoroidea). At most, they suggest pachycephalosaurs may be related to ankylosaurs and suggest that the Marginocephalia *might* not be well supported. However, nothing you cite indicates an outright abandonment of Marginocephalia or support of Orbitoscuta. As Morgan above shows, all the characters you cite are either found elsewhere in other groups or are likely not homologous, and which in turn still suggest that pachycephalosaurs are at *least* as closely related to ceratopsians as to ankylosaurs, if not more so. Great post. With regards to Horner's recent theories, I also hate how people are just automatically assuming he's right, without thinking critically about it. I still maintain some skepticism. I'm planning on making a post about this on my blog. "yes, indeed I have read Bakker's book through-and-through and holds a place in my personal library. Nowhere in the actual text does he refer to 'Orbitoscuta'"
You seem to have misunderstood; I said that Bakker breifly discussed the concept of Orbitoscuta in his book. I NEVER said that he referred to it *by name* anywhere but in the figure at the end of the book. "Also, while I may not be omniscient and be able to keep up with all the relevent literature all the time, Michael, it is not I who appear to be behind the times: your apparent rejection of cladistics makes *you* behind the times." Huh? 'Behind the times', in my understanding, refers to the lack of knowledge of things that have happened in the recent past. How am I behind the times for rejecting cladistics? I know all about cladistics and understand it perfectly - I reject it because I don't consider it a useful tool, but rather a dangerous, flaw-filled, and misleading one. I have my reasons for rejecting cladistics, and they have nothing to do with being 'behind the times'. *You* were still the one behind the times in that you were, to your own admission, totally unaware of the recent work on ankylosaur cranial armor. Furthermore, I find it bothersome that all the literature you cite does not at all strongly support an 'Orbitoscuta' as you suggest--none of the peer-reviewed papers you cite even mention the term (or even 'Thyreophoroidea). I never even SAID that any of the papers I cited supported Orbitoscuta or even mentioned it. I'm confused as to where you got this from, and in all honesty, this makes twice in your latest comment that you put words in my mouth (note that I'm not accusing you of doing this deliberately). Bickering aside, I like your artwork. Maybe you never said it directly that 'Orbitoscuta' was mentioned in The Dinosaur Heresies, but it certainly sounded implied when you said, "Huh? Not to be rude, but I have to ask, have you even read Bakker's book? He does provide detail in the chapters. It' not a whole bunch of detail, but it's enough to invalidate your claim that he never discusses ANY evidence for his classification." If I recall, my specific claim was that he never discusses 'Orbitoscuta' in his book, not the 'Thyreophoroidea' which he does discuss. Thus my original claim was indeed correct, because he does not discuss the 'Orbitoscuta'. Briefly: as for the 'behind-the-times' remark, I now accept the new cranial ornamentation hypothesis for ankylosaurs as soon as I becam aware of the evidence for it that you so kindly brought to my attention, however you still appear to reject cladistics. So, I changed with the times (the new info), whereas you have not. Even if you believe you have good reasons for rejecting cladistics, you are still behind the times as the modern scientific community accepts cladistics. I know the majority is not always right, and cladistics does have its flaws, but so does every other scientific model. None is perfect, and all make guesses and assumptions and have margins of error, as well as positives and negatives. So I change with the times when I am aware of the changes. As for your last point, I never said that you said the references you cited supported 'Orbitoscuta' or mentioned it, but it certainly seemed like it was implied. Sorry for wrongly interpeting your comments that way, but I never put words in your mouth. I did say you suggested that your references supported Orbitoscuta, which was a wrong interpetation on my part. What you actually suggested that they suggested Marginocephalia was not monophyletic. Well, neither Bakker or Coombs comment on the monophyly of the Marginocephalia. Only Sullivan suggests that the Marginocephalia is not well supported as a group, which says nothing about monophyly. Sullivan suggested that the parietosquamosal shelf may have been non-homologous and was derived secondarily in pachycephalosaurs. This does not mean, however, that pachycephalosaurs and ceratopsians did not have a common ancestor. They still may have had one, just a common ancestor that lacked this shelf. This still means you assertion that Sullivan suggested that the Marginocephalia was not monophyletic is incorrect: first, because the paper does not do any cladistic analysis, which is where monophyly is important, second, because Sullivan never makes that assertion, only that the Marginocephalia is not well supported on the character of a parietosquamosal shelf--not being well supported is not the same thing as being paraphyletic or not monophyletic. I am sorry if you thought I was putting words in your mouth, but it certainly seemed you were finding support for 'Orbitoscuta' in the references you cited, at least in the case of Bakker's book. You are right that you did not say in regards to the papers you cited that they support Orbitoscuta. I made poor use of my wording in that last comment you quoted, but it was not deliberately intended to put words into your mouth. I hope were not bickering, just having a scientifically rigorous discussion :) And I'm glad you like my artwork. I should also point out and emphasize that Yinlong strongly supports a monophyletic Marginocephalia. See here. One of the most relevant portions says, in part, "Although the discovery of Y. downsi provides strong support for the monophyly of the Marginocephalia, the overhanging parietosquamosal frill, the most obvious feature of the three previously recognized fopr the group, might have been independently developed in pachycephalosaurians and derived ceratopsians. Yinlong shares with pachycephalosaurians a squamosal frill but lacks a parietal contribution to the frill. The parietosquamosal frill evolved in more derived ceratopsians with the posterior extension of the parietal and the reorientation of the posteriorolateral wing of the parietal." So, in short, Yinlong captures many features of the pachycephalosaurs, while confirming that the parietosquamosal probably was independently developed, but at the same time supports a monophyletic Marginocephalia. The Horner pachycephalosaur paper shows a Pachycephalosaurus with *weathered-down* spines. Tracy Ford has shown in Prehistoric Times that the cranial ornamentation on this specimen had weathered-down ornamentation. In issue 73, p. 20, Ford relates, "The Black Hills Institute has recently found a Pachycephalosaurus skull with spikes and not nobs...I now believe the spikes had been worn down to knobs and in life should have been spikes. The front [of the original specimen]...had spikes and not knobs and this is probably the same with the back of the skull." --Bold emphasis, theirs. Inserted brackets, mine. Ford also has some nice illustrations to show that, too. Even Greg Paul's Pachycephalosaurus skeletal shows long spines on the back of the skull, and other scientists have proposed that Stygimoloch is a sub-adult Pachycephalosaurus before Horner et. al. If true, then there was no 'horn-absorbtion' at all, just the growth of a dome on the head. In addition to that, a new study (which names 2010's first dinosaur Texacephale) proposes that all flat-headed pachycephalosaurs are juveniles of dome-headed ones (such as Goyocephale and Homolacephale appear to be juveniles of Prenocephale). Longrich, N.R., Sankey, J., and Tanke, D. (2010). "Texacephale langstoni, a new genus of pachycephalosaurid (Dinosauria: Ornithischia) from the upper Campanian Aguja Foramtion, southern Texas, USA." Cretaceous Research. I hold that Homalocephalines are a unique group and derived separately from prenocephalines. They shared a common ancestor, but I see no good reason to overturn good osteological evidence just because of one paper, especially one that just came out. The field needs to examine their findings, and by the field I do NOT mean just the Hornerites. That said, I don't really endorse the notion that Pachycephalosaurs were true thyreophorans - it's a bit bit confusing to figure out precisely WHAT they were. What's needed for sure is Jurassic ancestors. But I can't see something like Scelidosaurus giving rise to a dome-headed biped. I just don't think it's all that plausible. I also really hate the one-sided coverage of this theory. Just because some new idea is proposed does not automatically make it true. I want to hear what other scientists have to say. Wow, I can barely believe that I actually posted some of this overzealous crap a mere year ago. Needless to say, I don't reject cladistic methodology anymore, nor do I endorse a Super-Thyreophora that includes marginocephalians, or a pachycephalosaur/ankylosaur clade any longer. And a lot of my Horner-bashing was decidedly out of line. But what the hey, this is probably just a waste of space, I doubt anyone even pays attention to threads this old! Ha, jokes on you! I still read all these threads! It's fascinating to get all the different viewpoints and so on over the years. Shows how theories change, and the way the field advances over the years (though I'm still not siding with Jack Horner & his lumperitis). Freelance paleoartist, musician, renaissance man and dinosaur nut, leaving my own unique stamp on the world. The Future of Illustrating the Past! All of the original artwork on THIS BLOG is licensed under a Creative Commons Attribution-Noncommercial-No Derivative Works 3.0 Unported License. NOTICE: If you DO wish to use any of my original work for commercial purposes, or you want to buy my prints - or the ORIGINALS, just drop me a line at Paleo_King@hotmail.com. Subscribe to The Paleo King! Can't get enough Paleo King art? Buy some! SASSANI PALEOART - only the finest! Hirokazu Tokugawa's amazing paleo sculptures! 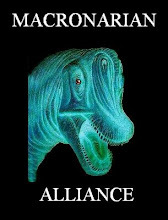 The world-renowned QWANTZ dinosaur comics! Heinrich Mallison's blog - Dinosaur Palaeo! The HAIRY Museim of Natural History! The name's Bond - Peter Bond!